There is certainly an art to creating a brand name. And whether you’re starting a blog or launching a new company, brainstorming that perfect name can be exhausting. For the majority of startups or small business owners, hiring a digital agency to generate a brand name probably isn’t in the budget and choosing a domain name is not an easy task. Fortunately, to help with the process, people are turning to domain name generators. These tools help business owners generate domain name choices by taking a keyword and using combinations of popular keywords and pairing them with available top level domains (TLDs) to generate a memorable domain name. 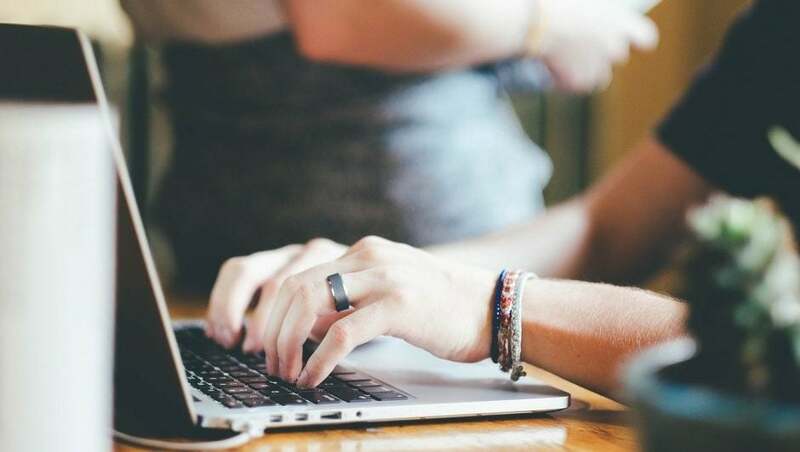 While algorithms will never replace human creativity, these free domain name generators can kick off the creative process and give you a head start. If you want a domain with four, six or ten words, Domain Hole can help. Through their Brainstorming tool, users enter a keyword, a top level domain, then click the button and receive a long list of domain name options. If there’s nothing of interest, users can try the Name Spinner where the engine will mash the keyword with hundreds of English-based words and unveil what is available. If your brain gets tired, then switch over to the World’s First Domaining Game where domain names fall from the sky and the user has to type in the names as fast as they can before they hit the bottom of the screen. Users can also sign up for Domain alerts and monitor a WHOIS status of a domain name they really want. Knowing who is behind a domain name is important for SEO. This top-level domain registry offers the WHOIS option to make sure that the name you choose isn’t taken and gives you the ability to research the history of a domain name. If your name is taken, their engine will provide other options for domain names through floating balloons on the page. This registry also offers a premium TLD service that reserves the domain for top small business services, products and websites. 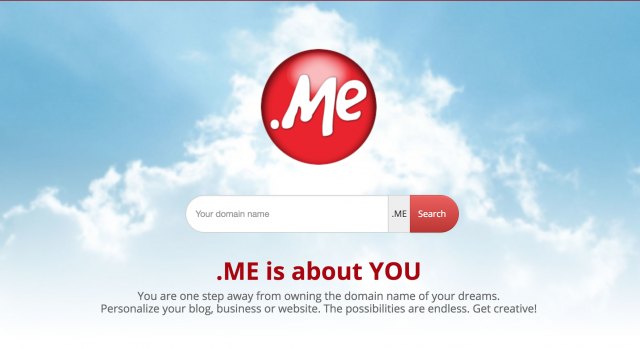 Their process helps with getting found online through the short TLD, creates exclusivity with the .ME brand, and adds value for the owner if the domain name ever goes to auction. But that’s not all. They have a “Fun” category, which breaks, joins, replaces, and rearranges words together to create new words, “SEO” category, which gives suggestions on domain names that will have the best visibility, and “Mix” that will merge your keyword with common and small suffixes and some dictionary words. Another great feature is “Startup Company Name Generator” that allows you to enter two to three keywords (or even more if you want), and gives you suggestions based on them. Why try and think of your brand name all by yourself. Name Generator (originally known as MakeWords) uses the power of the crowd, as well as their algorithms, to help owners develop an ideal brand name and find available domains. A user can input a keyword and a preferred top level domain beyond the .Com vortex, and it will generate the one you want or offer hand-picked selections and variations sorted by a ranking system. Another way to approach finding a brand name is using their Naming Contests, where users describe their project/company and ask their community to help develop a brand name. The platform also shows users what domain names have been discarded and available for sale. 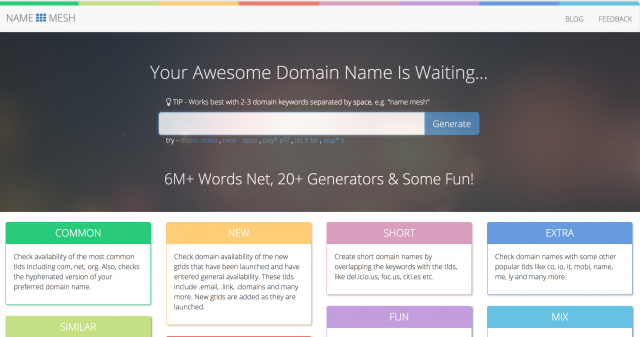 Name Generator has over 1M registered users, checked over 145 M domain names, and held 6905 name contests. Shopify, a well-known name in the ecommerce business, has a domain name generator to help people find the best name to fit their company’s personality. Shopify understands it’s difficult to come up with the ideal name, and even when you do, the domain might be taken. Through their generator, users can input the business’ core concept into the generator and Shopify will provide thousands domain name suggestions relevant to the company. This article was brought to you in partnership with .ME, the premium top-level domain for professionals focused on building their online reputation. Learn more at www.domain.me. Download this free guide on How to Start a Blog.